Leejay Levene was a wonderful young man who tragically died at the age of 18 during routine wisdom teeth extraction in Waterloo Ontario. This mishap occurred in July of 2007, when Leejay went to an oral surgeon's office. Leejay chose July to have this procedure done, since it would not interfere with his high school exams, and he would be healed before moving to Toronto to begin the architecture program at the university of Toronto. Leejay was full of life, loved music and art, snowboarding and golfing. He also liked his voluntary job at the Kitchener- Waterloo Humane Society where he adopted the family cat, Lola. Leejay loved the great outdoors where he spent many summers at Camp Arowhon in Algonquin Park. Leejay, along with his brothers Casey and Elli, were the third generation of the Levene family to attend Camp Arowhon, where his father Ronald, and grandfather Martin Levene attended before him. 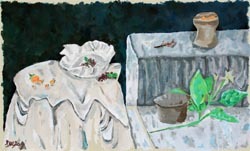 Leejay's mother, Shirley, collected the artwork that her three sons did over the years. 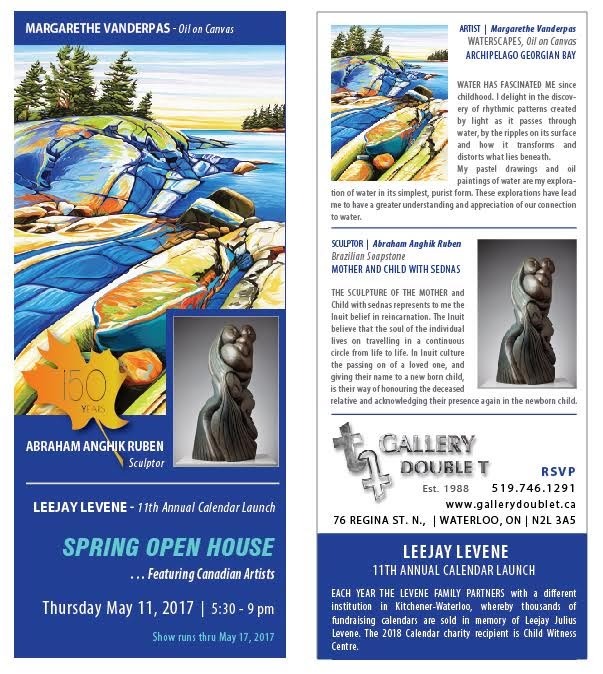 Leejay's artwork was photographed after his mishap, and reproduced to help worthy causes at live and silent auctions across Canada. This has become a meaningful way to help heal the Levene family as well as to keep Leejay's memory alive to people near and far. Each year the Levene Family partners with a different institution in Kitchener-Waterloo, and thousands of fundraising calendars are sold in memory of Leejay Julius Levene. This year the Levene Family partnered with the Juvenile Diabetes Researh Foundation. The 2017 Leejay Levene Art Calendar is on sale now.